﻿ The Fritz Hotel Cape Town. JIMAT di Agoda.com! Ada soalan mengenai The Fritz Hotel? Terletak di tengah-tengah Gardens, The Fritz Hotel merupakan tempat yang sesuai untuk meneroka Cape Town. Terletak 1.0 Km dari keseronokan bandar, hotel 3-bintang ini terletak di lokasi yang sangat baik dan menyediakan akses kepada tarikan terbesar di bandar. Tidak kurang hebat adalah akses mudah hotel untuk ke pelbagai daya tarikan dan mercu tanda bandar, seperti Rumah Muzium Bertram, Rumah Bertram, Pusat Teater Intimate. The Fritz Hotel juga menawarkan banyak kemudahan untuk memperkayakan penginapan anda di Cape Town. Wi-Fi percuma semua bilik, Wi-Fi di tempat awam, tempat letak kereta, pengangkutan lapangan terbang, penjagaan kanak-kanak merupakan beberapa kemudahan yang membezakan The Fritz Hotel daripada hotel-hotel lain di bandar. Masuklah ke salah satu dari 13 bilik tetamu kami dan tenangkan hati anda dengan pelbagai kemudahan seperti internet wayarles, internet wayarles (percuma), bilik larangan merokok, pemanas, meja yang boleh didapati di beberapa bilik terpilih. Di samping itu, pihak hotel menawarkan aktiviti rekreasi untuk memastikan anda mempunyai perkara untuk dilakukan sepanjang penginapan anda. Kemudahan yang hebat dan lokasi yang sangat baik membuatkan The Fritz Hotel menjadi asas yang sempurna untuk menikmati penginapan anda di Cape Town. Wooden and noisy floor. Uncomfortable stairs. 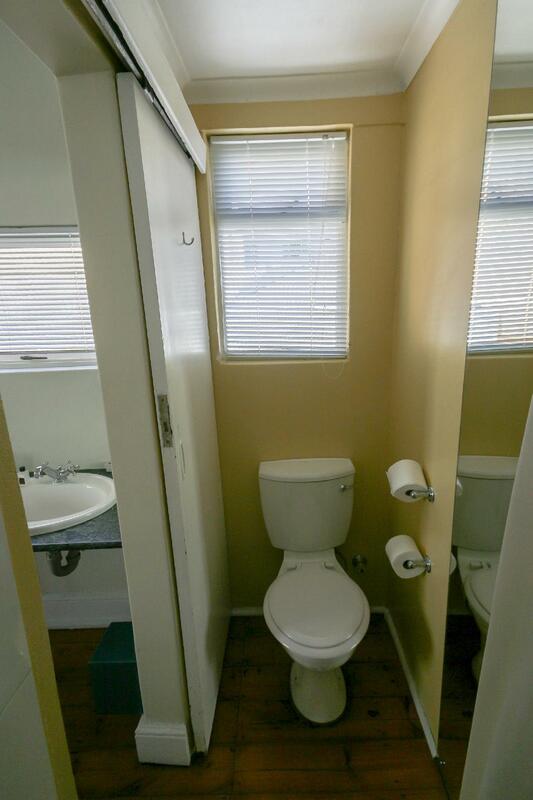 Tiny bathroom and toilets. 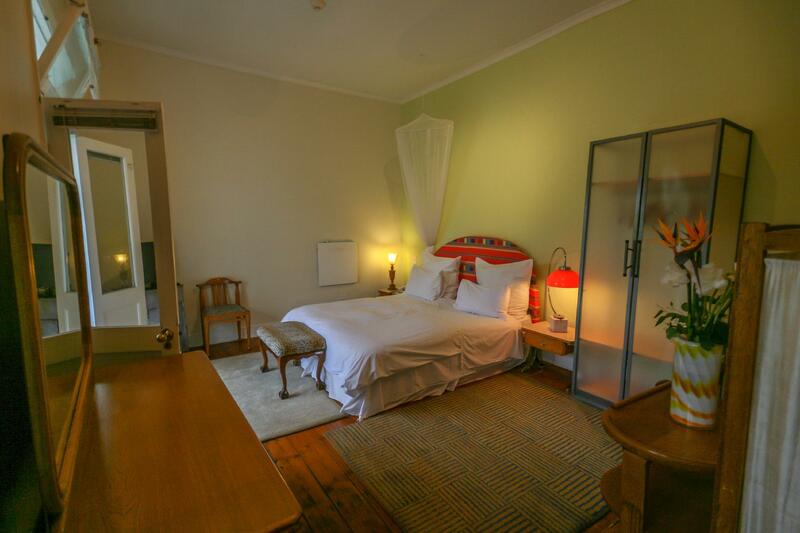 This old guesthouse was absolutely delightful. The art deco decor was so beautiful, and the owner, Arthur was on personally on hand to help with whatever you needed. A great breakfast was provided with eggs (and bacon) cooked to order. Espresso coffee available any time. The building is old and so not in pristine condition, but kept very clean. My only feedback would be to avoid the room I was in (#3), the only one on the ground floor as its a bit noisy considering it opens directly on to the lobby. Ear plugs mostly fixed this issue though. The location was amazing, and the security was great. Super friendly and helpful staff, however mediocre wi-fi. Definitely recommend. Brilliant central location but located off main street so lovely and quiet. Clean. Great breakfast with fresh fruit, fruit juice, croissants, bread, ham, cheese etc. Air conditioning. Comfortable beds. Friendly helpful staff. Highly recommended. Overall, we are happy with our stay in this hotel. the location is great coz few steps aways and you are in the main road with lots of restaurants. the residential street is quiet and feels safe. the beds are good and comfortable and the bathroom is all clean. Our only concern is the wifi did not reach our room which is already beside the lobby. the tv is not working at all though we didnt bother to ask for fix. and lastly the breakfast just so so. We were early for first 2 days so theres not much option just cereals and bread. on the last day we went a bit late and realized that when the cook is already there around 8am they actually offer eggs and bacon. We'd been travelling for over two weeks in South Africa and this was our last night. The room was not as good as we expected, we had a budget room next to reception and the dining area so it wasn't very private.The room was okay with comfortable beds but very basic and noisy floor boards both in our room and the room above. It's the type of accommodation that I might have enjoyed more when I was younger. It''s fine if you're going to be out all day which, I admit, most people are. If you want to do a few hours' work each day, it's not. Firstly, once I'd clipped my laptop plug into the South African converter, it would not fit into the double socket behind the desk. I didn't want to disconnect the fridge, so I ended up having to re-charge my laptop on the tiny bedside table, and then take it over to the desk to use it. Not great if your battery lasts for a only a short time. Breakfast would have been OK, if there had been any there. I arrived at 7.30, half an hour after breakfast opened. I managed to scrape a spoonful of yoghurt from the bottom of the serving bowl, and took the last tiny piece of cheese from the platter and the last bread roll (but the butter had run out).. As I got up to leave 20 minutes later, I saw that everything had been replenished. They just need more than one person in the kitchen at busy times. Again, it's OK if you're going off sightseeing and can wait for breakfast, but not if you're going to a meeting. 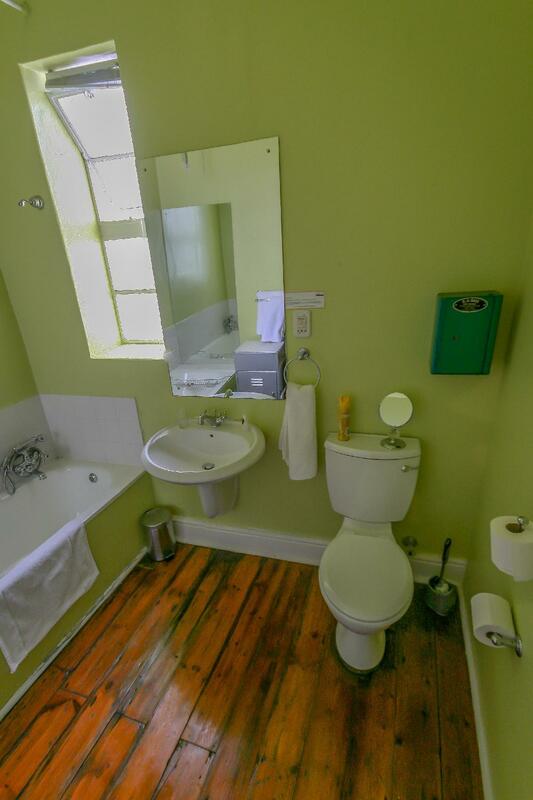 Some people may find that having the loo in a little cupboard in the room is quirky and fun, or they may appreciate a safe that's so small nothing will fit into it. That's for them to decide! Finally, I wouldn't suggest this hotel for solo women. There's no restaurant or even cafe, so you have to go out on the streets in the evening if you want dinner. Some women may not wish to do that. I don't want to be entirely negative, though. 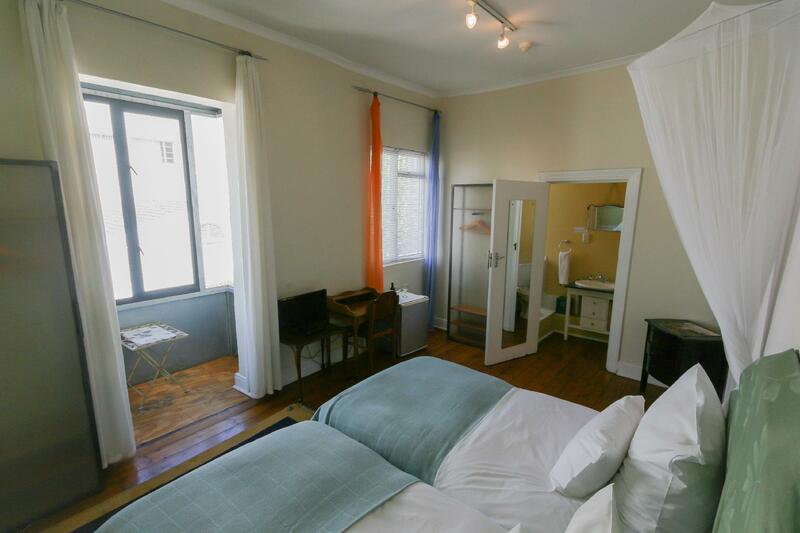 If you're in Cape Town for sightseeing, hiking or just fun, with no strict timetable or work commitments, this could be the place for you. For me it was just wrong kind of trip, wrong kind of place. Fritz was our 3rd Hotel in Cape Town. 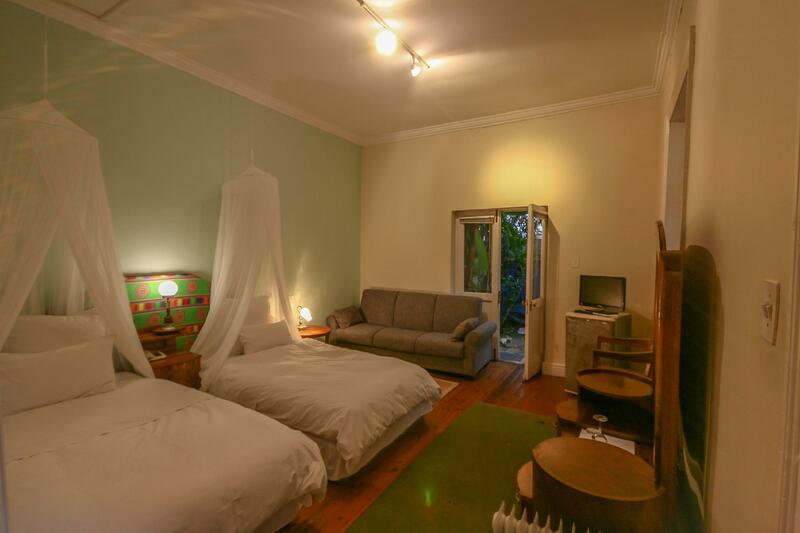 It is on the edge of the CBD but in the heart of great restaurants and a hip back-packer area. 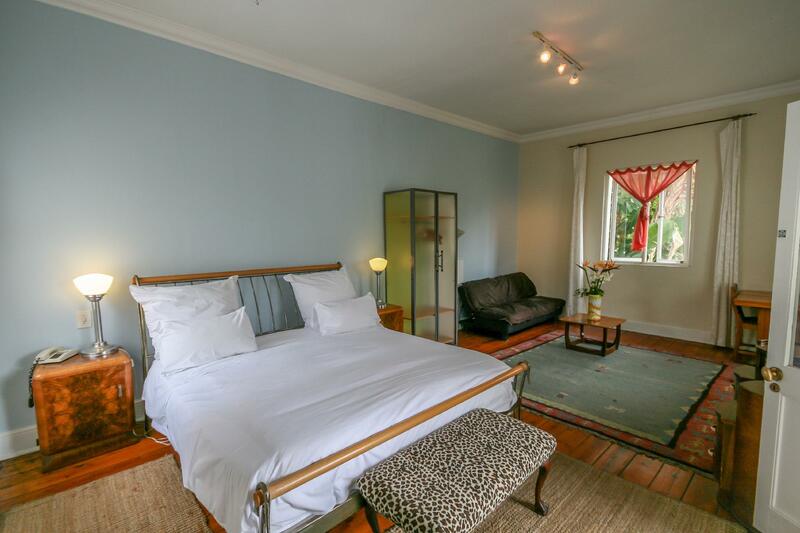 Fritz is an old stately home converted into a hotel and so is loaded with character, from the art-deco furniture in the common areas and the rooms to the atmospherically creaking wooden floors. It is not modern and that is its exquisite charm. 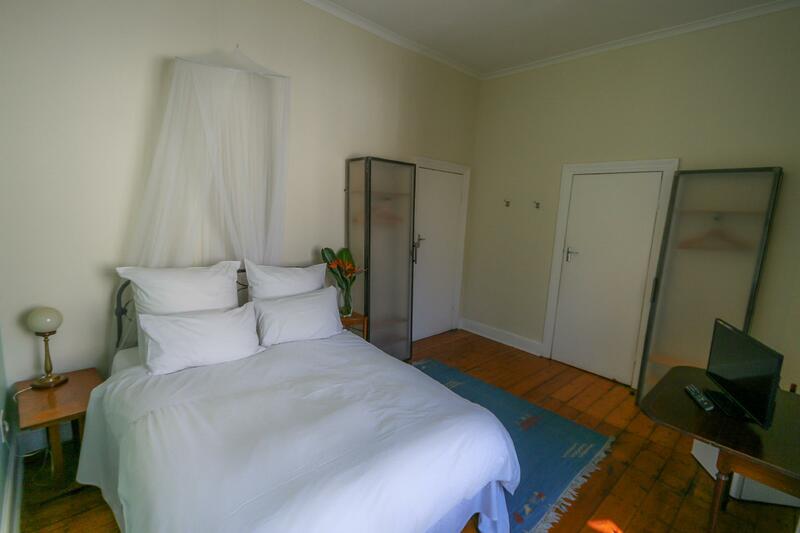 When I return to Cape Town, this is where I will stay! The best feature of the hotel is that everything you need is close by: restaurants for every taste, shops, atms, transport. It is quiet too, so one gets rest. 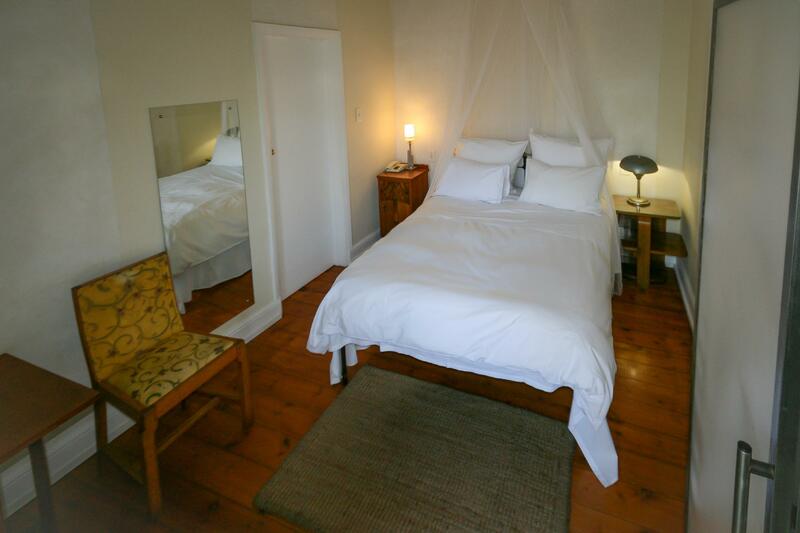 Comfy beds and cosy rooms. We really enjoyed our stay. My husband and I travelled to Cape Town on business but needed to spend wisely. The Fritz Hotel checks all the right boxes. It is great value for money, near everything we needed and the staff were friendly and helpful. I will do more than recommend this hotel to others, I will stay there again myself. Staffs from the hotel are friendly, and helpful. Awesome location! Easy accessing to places. This small hotel in is Garden area, as in small alley make this place quiet. Once you walk to main street, there is Spar supermarket and bus station on both side so it's convenient to take the public bus around. There are some restaurants/ shops around but if you walk down to long street (5-10 min) a lot more of restaurants there. From the hotel you can see Table Mountain view on the clear day. My room (room 12) on the side with balcony which is lovely with mountain view. Only con is the shower didn't work well and it was flood but if you use rain shower (the one on ceiling) it will be okay. I would recommend this place if you visit Cape Town. My stay at the Fritz was not the best. Not the cleanest and I expected a higher standard at approximately 1200 zar per night. No kettles or coffee cups in the rooms is also a first for me. Pleasant stay. Parking availability poor. 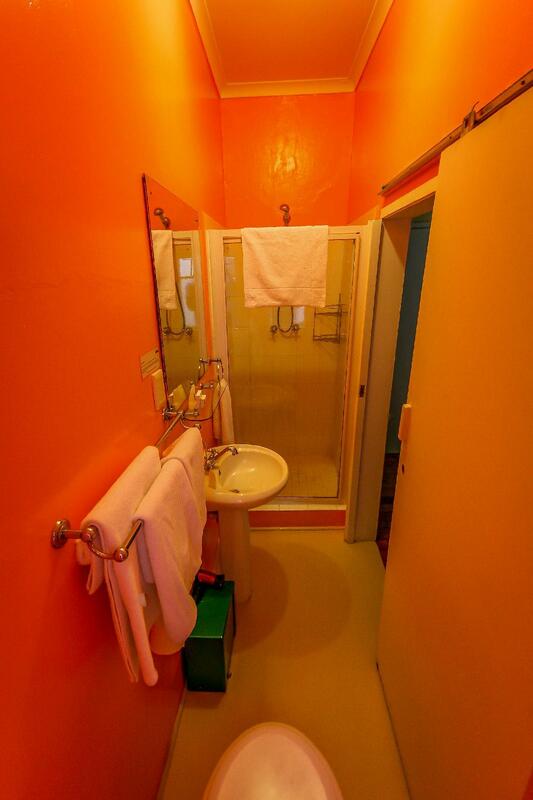 Although I do think the hotel is best suited for travellers who wish to explore the city. 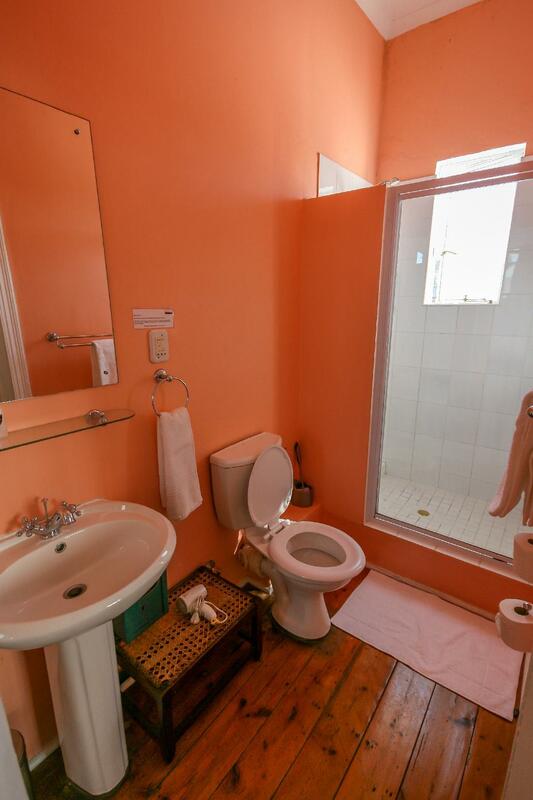 Walking distance to most amenities. Very good. Price was a little higher than others. Would have preferred a location closer to downtown. The hotel was dirty. The kitchen floor was peeling and looked very messy. Not value for money.